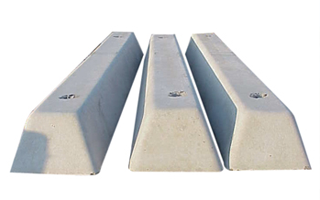 To provide better traffic flow, many parking lots have concrete auto stops installed. Often, these blocks become damaged, crumble, and cause hazards on the lot. Asphalt Doctors provides full-service concrete auto stops re-alignment, pinning, and/or complete replacement. Damaged blocks are hauled away to authorized dump sites and new blocks are installed and properly pinned in place. Handicap parking signs designate specific parking spots for handicap visitors only. According to the ADA accessible parking spaces require a sign showing the handicap symbol. One out of very 25 spaces must be handicap parking only. Find the sign face that best fits your needs and choose from aluminum, steel or polyethylene sign materials. Asphalt Doctors provides full-service installation of all types of traffic signs.